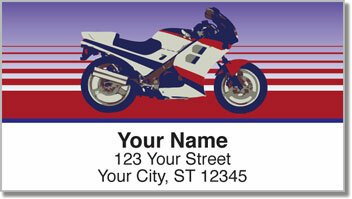 Some motorcycle riders like to cruise, but you've got a need for speed that must be satisfied. That's why you ride a sportbike. These machines are made to perform. They fly across the asphalt and take tight corners like a boss! 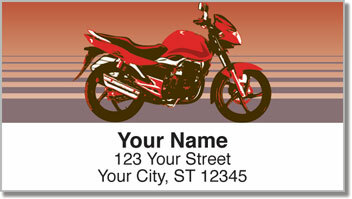 Now you can give your outgoing mail a personal touch that shows off the style of four different bikes. It's the perfect choice for anyone who's got an inner Evel Knievel in their soul. Plus, you'll really appreciate how your new self-adhesive labels make the annoying chore of preparing outgoing mail quick and easy. 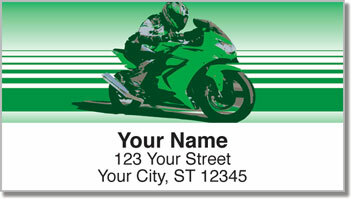 We know how you like things fast! 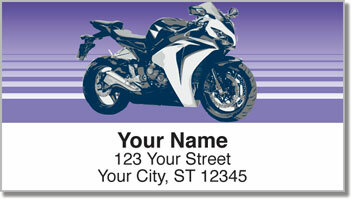 Order your own Sport Bike Address Labels right now! Get them with a set of matching personal checks to make it complete.